As the saying goes, April showers bring May flowers. For Mr. Valentino, though, flowers are a year-round event: Florals are a leitmotif of his décor, found in various iterations throughout his homes in Gstaad, London, Rome, Wideville and New York. 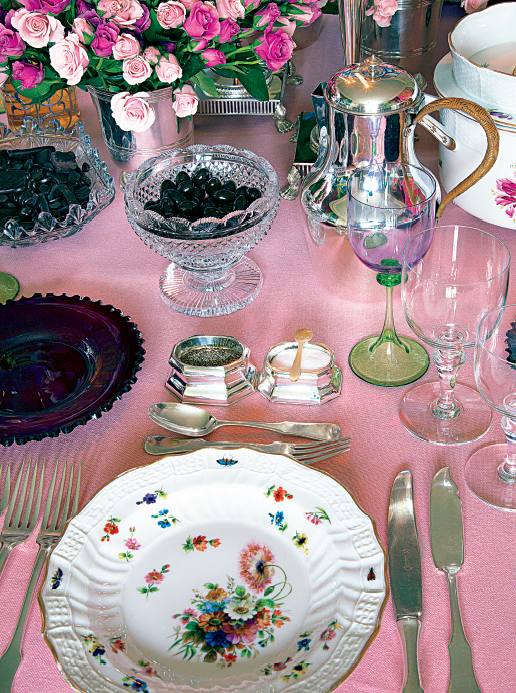 As guests of Mr. Valentino can attest, a highlight of a visit to any one of his abodes is his exquisite table settings, and it’s in his collection of china that his floral obsession is most vividly expressed. In London, Mr. Valentino indulges his passion for chinoiserie by dining on blue-and-white flower-patterned plates dating from the Quinlong period, circa 1770, or black-backed Famille Rose Millefleurs Chinese porcelain only a century or so younger. 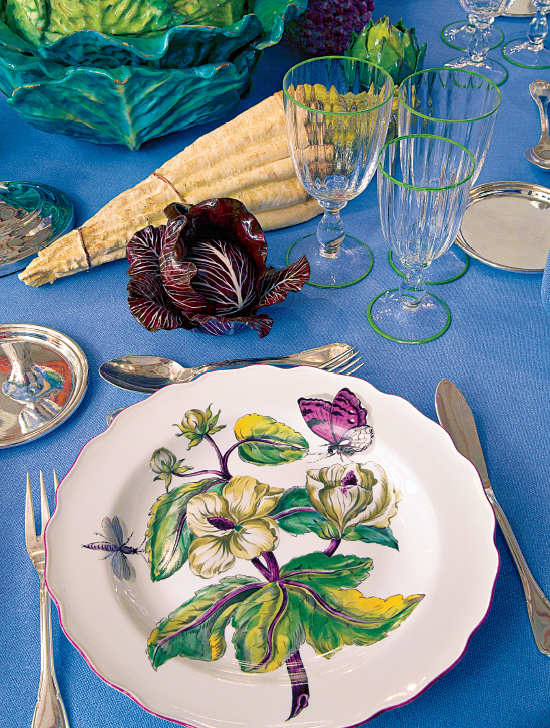 Meanwhile, the Vista Alegre dinner service used at the chalet at Gstaad features decoration after a floral still-life by Sir Hans Sloane, and another set of porcelain, by Villeroy and Boch, is done in a classic petite fleur design. 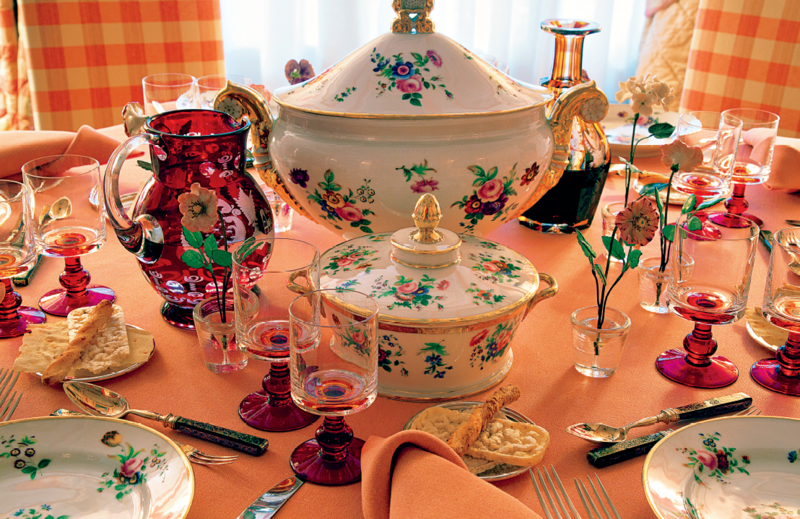 The floral plates and in New York hail from St. Petersburg, and were produced during Tsar Nicolas I’s reign; and at Wideville, where, come springtime, it’s hard to compete with the blossoms outside, the challenge is met by Russian painted and gilded porcelain plates, the flower motif interlaced with the Russian imperial eagle and Cyrillic text.